Marketing isn't a "set it and forget it" proposition. We start with a plan, execute that plan, and evolve that plan over time. We work with you as a trusted partner to make sure we're learning together, getting smarter, and improving our strategy and activities as markets, technology and people change the way they shop and buy from you. Today, this is an overarching process that works. 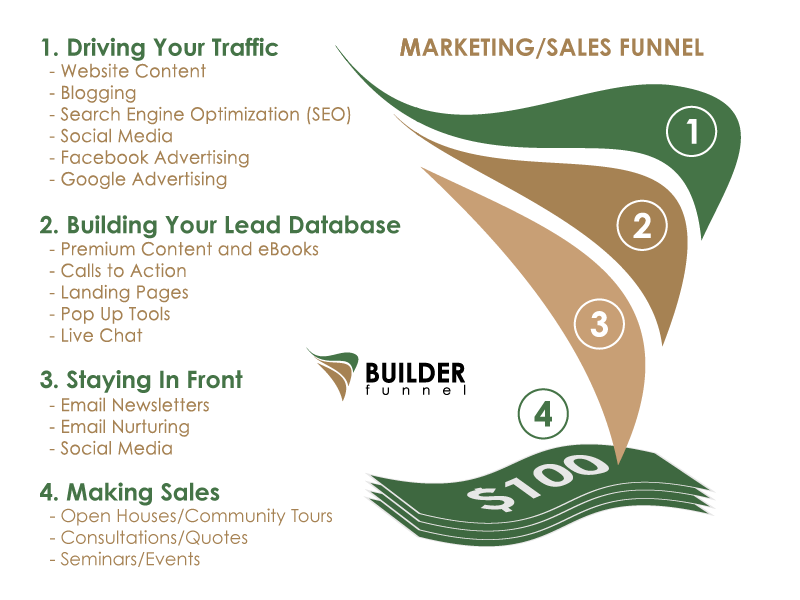 For your business to grow, you need to be actively driving traffic to your website and business, converting interested parties into leads, staying in front of those leads, and then moving them into a repeatable sales process. 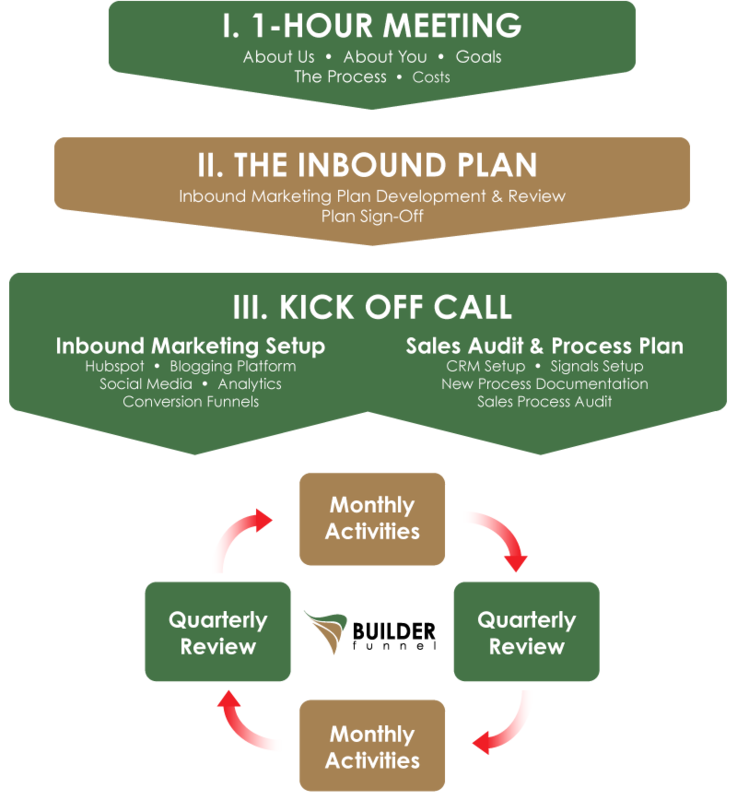 Builder Funnel uses a four-step sales process to keep your business top of mind in a chaotic landscape. We use a combination of tools to help drive traffic to the website, convert those visitors into leads, nurture those leads with relevant content and helpful information, and then turn those leads into sales.